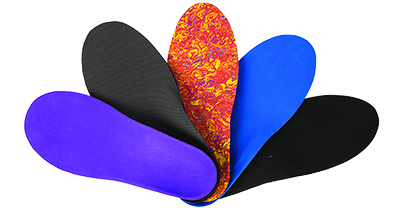 Since 1999 Orthotech has been using premium orthotic materials to manufacture the highest quality custom orthoses for Podiatrists associated with Podiatric Universities, Sporting Teams, Olympic Athletes, Podiatric Surgeons, Hospitals, as well as General Podiatry Practices. Since our inception, we have advanced and progressed through varying CAD/CAM manufacturing methods. One of the values is integrity, today we only manufacture based on what is best for the material and the patient. Our recommended pads, additions and postings are always based on what is best for the patient, not what can be directly milled into a device. We manufacture custom orthotics from 3D scans, foam boxes and casts which gives our clients the freedom to select the process that suits their clinic and patients. Our vast experience and knowledge enable us to manufacture any custom orthoses that you require. Our very experienced technicians have more than 150 years experience between them, there is nothing they have not come across before.